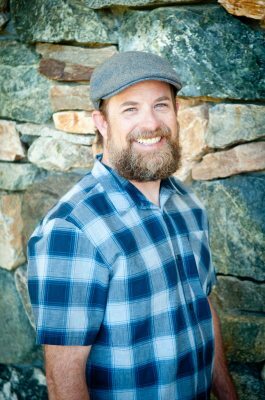 Eric Brandstad is a Greenhouse and Cannabis Industry Expert that has been in the Industry for over 25 years. Eric is originally from San Joaquin County, California where his family has been commercially farming since 1862. He worked on his family's farm growing up and has been farming his whole life. After graduating high school in 1992, he moved to Humboldt County and started learning everything he could related to the cannabis plant. A few years later, Eric acquired his contractor's license to do site development for the greenhouse company he then started managing succesfully for 11 years. Eric has helped pioneer light deprivation techniques that are used throughout the industry today. He has written articles & blogs, recorded videos, given interviews and recorded podcasts. Eric has been asked to speak, judge and moderate panels at many industry events. He has hosted educational events, been a keynote speaker and will again be the keynote speaker at the upcoming Imperious Expo in Arkansas in November 2019. Eric travels throughout the US and abroad speaking, consulting, and networking primarily in the cannabis industry. He teaches Greenhouse courses at Oaksterdam University in Oakland, California and is also working with Boxcar/Payne's distribution company. With over 25 years of experience in the industry, Eric has many personal references available from people across the industry and is now available for private consultations. With his vast amount of connections and sought after advice, he looks forward to sharing his passion by helping you make your farm thrive. ​Growing cannabis in greenhouses offers the best attributes of both indoor and outdoor operations. However, because it is a combined solution, it can suffer from the challenges of both growing methods too. 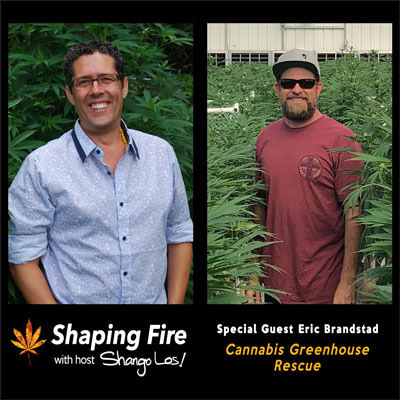 On this episode of Shaping Fire, host Shango Los talks with cannabis greenhouse expert Eric Brandstad about crop-saving techniques to rescue your greenhouse operation when it takes a turn for the worse and preventative techniques to stop it from ever getting that bad.